Summary: Mica (Abhrakam in TeluguSanskrit) is used for a wide range of medicinal and other purposes these days and it is known to have been discovered in Guntur 2000 years ago. The shiny black mineral called as black mica is generally found in granite and other types of metamorphic rocks. This mineral, which is otherwise called as biotite encompasses hydrogen, oxygen, silicon, aluminium, magnesium and iron. This mineral is known to have a blistering consistency and when it is used in extract form, it is known to bring many positive uses for ensuring the overall health in individuals. Of course, like people in other parts of AP, India and other countries, people from Guntur also use this mineral in one form or another. The thing that connects mica and Guntur is that Mica was discovered in this region in around 200 BC. 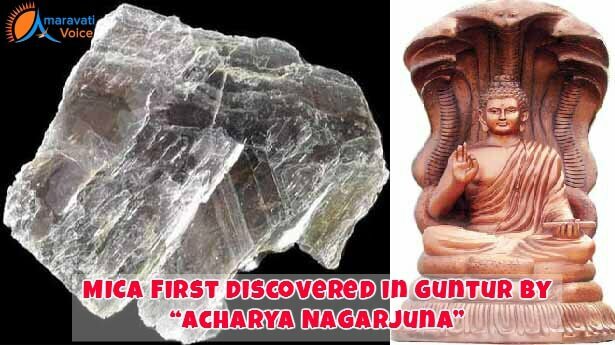 Significance is that the discovery of this healthy mineral was done by the great Buddhist Monk “Acharya Nagarjuna”, who is known to have lived in Guntur. There is a university in the name of this Buddhist Monk even today in Guntur. The monk is none other than the great Acharya Nagarjuna, in whose name the Acharya Nagarjuna University is functioning in Guntur. It is stated that mica in addition to bringing many health benefits can purify the water. For instance, when you take a glass of water and add mica extract to it, the impurities and toxins in the water will gather at the bottom of the glass. Black mica is known to be effective in removal of toxins from the water like heavy metals. In addition, it will help in retaining healthy minerals that are naturally present in the water. To conclude, Guntur is not just popular for diamonds and popular dynasties, it is also stated to be the place, where mica was discovered several 100 of years ago.